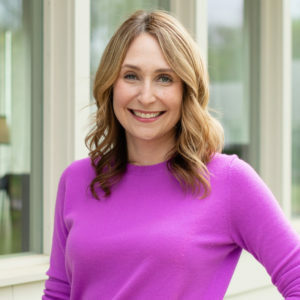 Laura describes real estate as her “second career but first choice.” Although she became an agent five years ago, she has always been drawn to the industry. “What could be more fun?” she says as she describes the way she helps people find a sense of security and happiness in the place they can call home. Laura met her husband, Andy, while they were both serving as congressional interns in Washington D.C. Today they live in historic Berkeley Neighborhood where they recently completed an extensive remodel. They have three children, Clara, Audra, and James who attend three different but fantastic schools in Fort Worth (Paschal, Country Day, and Lily B. Clayton). Aside from her devotion to her family and her work, Laura can also be found serving on the PTA or volunteering at the Ronald McDonald House. She is a member of Holy Family Catholic Church and the Junior League of Fort Worth. In her “spare time” Laura enjoys taking ridiculously long road trips with her family and keeping up with a few other passions: politics, reading, and baking. Laura is a woman of diverse experiences. She grew up in the tiny town of Cameron, Texas but also spent five years in the midst of the political hustle and bustle of Washington, D.C. She finds Fort Worth to be the perfect fit for “a small-town girl who loves the city.” Embracing every opportunity to add to her skills and knowledge, Laura comes to us with a stellar reputation for success and service in the industry. That’s what makes her a great addition to our team. We are proud to have her representing LEAGUE and confident in her ability to go above and beyond to serve her clients.